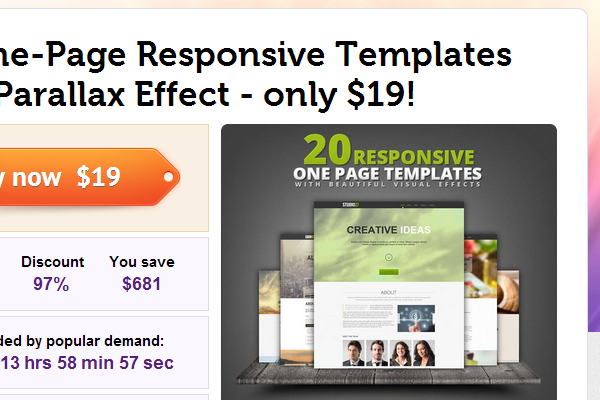 Deal of the Week: Single-Page Parallax Template Pack over 90% Off! The Mighty Deals team has put together a lot of amazing sets, but recently this template pack has been a huge success. The creators over at Flashmint have put together 20 different parallax responsive website templates which are available for $19 dollars USD. The entire set has been valued around $700 so this is a tremendous amount of savings. Take a peek at the templates to see how you feel about each design. The best part about these templates is how you may customize each one individually. 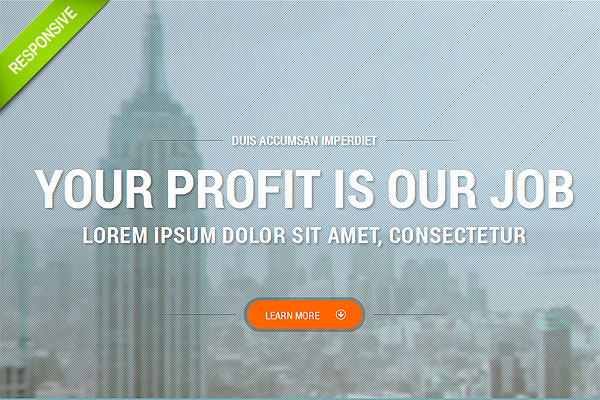 After purchase you will get each template coded into HTML/CSS along with the original PSD files. This means you can open Photoshop to change colors, graphics, icons, and tons of other features. The templates are also royalty-free which means you can use them anywhere for any purpose. Styles range from portfolios to fashion to business and lots of other styles. But since the template are so flexible you really don’t need to worry about the guidelines. The deal is not going to last forever but it is a noticeable collection. Web designers who frequently handle clients may want to consider picking up this $700 template collection at a 97% discount. If you have the time I recommend checking out the collection to see for yourself. Not everybody will have a need for collecting templates and this may just not be worth the money. However Flashmint does provide an excellent service and those who have purchased similar templates are not disappointed. And since you can use them for any type of project, the value for each template should really be taken into consideration. One other small tidbit worth mentioning is how each theme will be put together in a parallax-style design. This means all the core information is written into the first and only page on the website. THere are no internal pages to worry about, so your or your clients may setup the entire website within a single HTML page. Most if not all of the templates are also responsive, which is great for mobile visitors too. Overall the deal is fantastic and it is worth picking up at this cheaper price before it goes away.